Thinking about upgrading your shop with a new stationary tool? 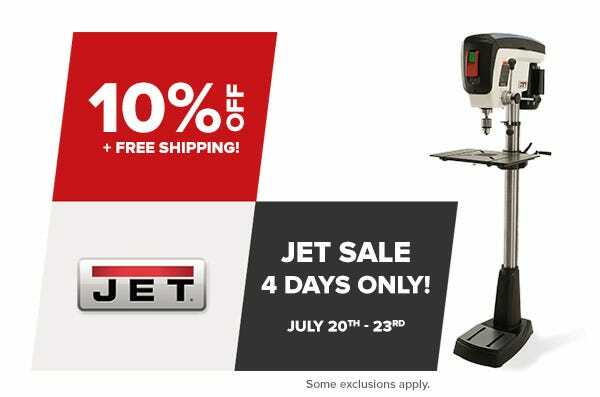 Welp, now's the time to do it with the JET tools summer woodworking sale at The Tool Nut! Take 10% off JET woodworking tools during this limited time 4-day sale. Some exclusions apply. wow, didn't realize there was a dovetail machine. Bump. Just a reminder that TODAY is the last day of the sale. Thanks!